Winter naturally draws us closer to home, providing the perfect excuse to experiment with new crafts and skills. Whether you already have a hobby that you'd love to make more time for or are looking to learn something new, let these eight ideas spark your imagination. Of course, it always helps to have a beautifully organized and fully stocked space to inspire creativity, so for each hobby I have included a few tips on creating just the right place to support it. There may not be much left to do outdoors, but you can still get your hands dirty with a little indoor gardening. Force bulbs to give as gifts, expand your houseplant collection or plot out next year's dream garden. Set up your space: Set aside a table in your mudroom or kitchen as an area you don't mind getting dirty. 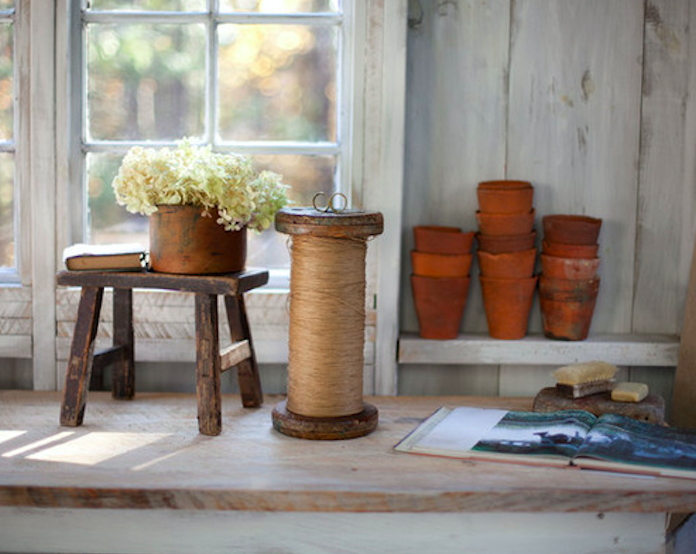 Keep attractive supplies, such as extra pots, balls of twine and a nice watering can on display. Tuck bulky and dirty items like potting soil into a wood crate or bin beneath the table, out of sight. If cooking is a passion, up the ante in winter by setting a goal to learn a new cooking skill or try a new dish each weekend, when you have more time on your hands. You could even make it a social event by starting a cooking club, or host a book club with foods related to the story, like blini and vodka for Anna Karenina. Set up your space: Once you have decided on the type of cooking projects you want to focus on (baking, roasts, soups etc. ), take stock of your supplies and pantry items and make a list of anything you are missing. Then step back and notice how you are using the space — if you plan to do a lot of baking, for instance, you may want to arrange your baking supplies and pantry staples on a movable cart. It's easy enough most of the year to send kids off to play outdoors with friends, but frightful weather calls for a bit of extra creativity to keep kids entertained in the house (and maybe away from the video games). A bonus of crafting with your kids is that you may find your own creativity sparked as well — it's not often we grown-ups get to sit down and play with glitter and glue! 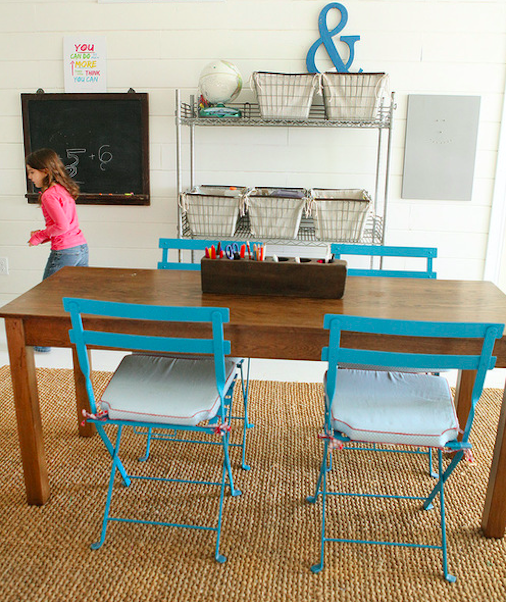 Set up your space: If you have a separate crafting or play room, wonderful! But if not, don't fret — there are many other ways to sneak in space for arts and craft supplies. The dining room is often a good choice, because the table provides a nice, big work surface to spread out on, and materials can be kept in bins tucked away in a sideboard or cabinet. Related: Buffet, Server, Sideboard or Credenza: Which One Do You Need? If you are a new knitter, joining or starting a group dedicated to the craft can give you the motivation and expert advice you need to see your first projects through from start to finish — and gain new friendships to boot. Set up your space: If you are an experienced knitter, you have probably accumulated a substantial stash of yarn, needles and other notions. Taking the time to organize by color and weight will see you through a winter rich with projects. If you have the space, storing your yarn on open shelves makes a beautiful, colorful display. Always wanted to try building something? Use any extra downtime this winter to teach yourself about woodworking with a few simple starter projects. 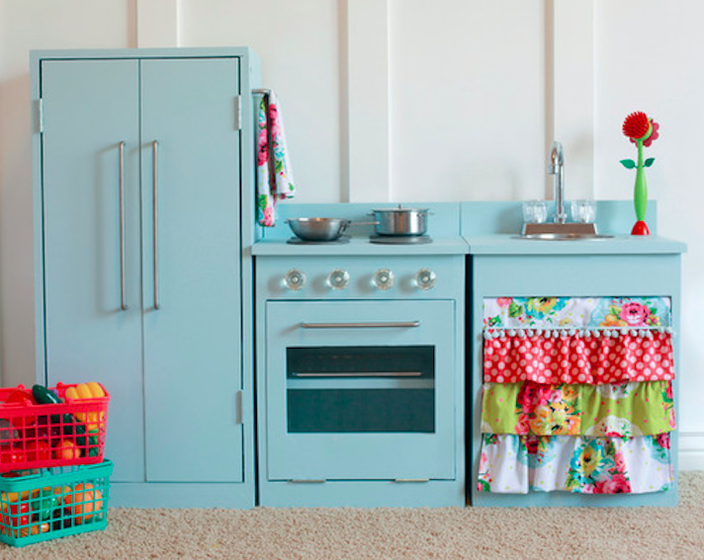 Arm yourself with a set of basic tools and a helpful (and fun) book, like The Handbuilt Home by Ana White, the source of the creative kids' play kitchen shown above. Set up your space: A woodworking project of any size tends to generate a lot of mess, including wood dust that can really get everywhere. A basement, garage or other space outside of your main living area is ideal. If you must work in your house, choose smaller, quicker projects and cover floors and surfaces with inexpensive tarps from the hardware store to protect finishes. Correspondence is becoming something of a lost art — which makes handwritten and mailed notes all the more charming. Delight your friends and family this winter by sending updates by snail mail, just because. Set up your space: Pretty notecards look splendid arranged on a desktop and will serve as a visual reminder to sit down and write. Use a vintage silver toast rack, an old store postcard display or a box to keep stationery neatly organized. Favorite pens and fun embellishments like washi tape and decorative stamps would round out a writing corner nicely. Whether you played an instrument when you were a kid or always wanted to learn but never had the chance, winter can be a great time to commit to brushing up on your musical skills. 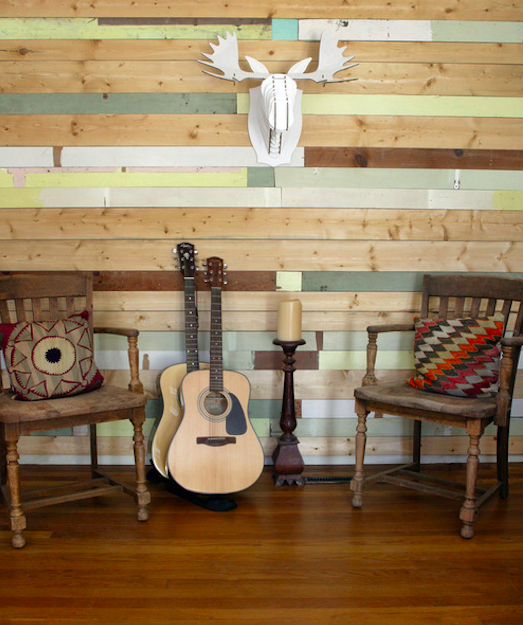 Set up your space: "Out of sight, out of mind" is especially apt when it comes to instruments. Keep yours on display instead of hidden away in a case deep in the closet, and you will be much more likely to pick it up to practice. If you play sitting down, be sure you also have a bench or stool of the right height available, as well as a spot for music storage. If you, like me, have a hoard of magazines and books meant to inspire, but in reality, they’re just cluttering up your shelves, maybe it’s time to whip the piles into shape. Set up your space: Weed out the magazines and books that no longer interest you, then file away magazine clippings in binders with clear plastic sleeves. It helps to give the binders themes that make sense to you. Take on your piles a little at a time while sipping cocoa or watching movies, and by spring, you will have a beautifully organized system in place, making it easier to maintain from there on out.